In one form or another, this has been the message of the recent boom in color studies. Sometimes the secret is psychological. Seeing blue involves not only light waves and retinas, but also an act of interpretation based on lighting conditions and on what, in the past, we’ve made of similar stimuli. That’s why some people saw blue and black in that famous dress, while others saw white and gold. Sometimes the secret is social. That red shirt you’re wearing? It’s not just red but “spiced apple” or “rapture rose” or some other specific hue picked out and promoted by a color forecasting group, an actual group of actual people who meet up in convention centers to set color trends. Manufacturers have their “color experts,” who decide which hues will be used for the season’s products. That’s why, as Regina Lee Blaszczyk notes in her history of these color professionals, the same shade of lime green or mustard yellow will suddenly seem to be everywhere, from clothing to throw pillows to the menus at the new bakery. The workings of these color cabals are revealed every couple of years in the popular press. Sometimes the secret is historical. Did you know that “ultramarine” is derived from the Latin for “beyond the sea,” and that the name designated the long passage that lapis lazuli had to take from the mines of Afghanistan to Europe? Or that ultramarine pigment was, for centuries, costlier than gold, which is why artists in the fifteenth-century began using them for the Virgin Mary’s robes? Kassia St Clair’s The Secret Lives of Colour brims with such secrets, stretching from ancient times to modernity. Her entry on Baker-Miller pink, for instance, tells of the brief moment in the 1980s when this Pepto-Bismol-like hue came to be used in prisons, buses, and housing estates because of its supposed ability to subdue the violent impulses of young men. Other books by Michel Pastoureau, Victoria Finlay, David Kastan, and Gavin Evans, to name just a few, reveal similar “hidden messages” about color. There’s always a secret. 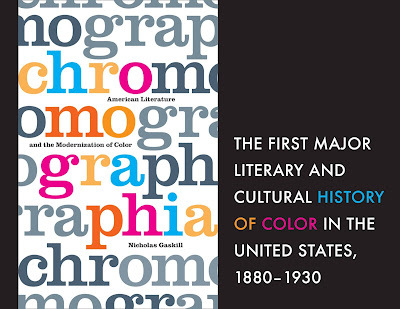 The pleasure of reading these books and articles about color is in seeing how something that seems natural and self-evident is in fact the result of complex historical and biological processes. Color, that paradigm of immediacy, turns out to be riddled with mediations. When I began writing about color and American literature as a graduate student, I too wanted to tell secrets. I found that my period of interest—those essential years between 1880 and 1930 when American modernity took its distinctive form—witnessed crucial developments in how color was made and understood. The mass production of new synthetic dyes changed the look and feel of commercial colors, bringing a vibrant and expansive palette to the goods of everyday life. The emerging science of psychology took color as one of its early subjects, redefining it in the process. Studies of color perception and its relation to environmental stimuli and the state of the observer (whether distracted, focused, listening to sounds, thinking about language, and so on), put forth a detailed view both of how color experience is produced and of how specific colors affect us. Advertisers and social reformers quickly sought to put these theories to work. By telling the cultural and literary history of color, I wanted to tell a broader story about how the modern sensory scene came about, including an account of the habits of feeling and seeing such a scene demanded. (That’s one area in which literature proves helpful: in dramatizing historical ways of responding to color). But the more I researched, the more I realized that I was not simply finding further color secrets but witnessing the more fundamental construction of color as something with a secret. In the novels, poetry, decoration manuals, children’s books, philosophical essays, psychological studies, pedagogical journals, and business magazines that I read, and that I discuss in my book Chromographia, I saw how color came to be understood in two separate yet related ways. First, as a distinct domain of nature with its own laws and principles, such that an artist or designer could learn how to manipulate color effects. Second, as an intense and emotionally-charged experience, something that hits the body directly, bypassing conscious thought. I became more and more interested in how these two faces of color fit together, and in how they were often held apart. Because it’s in this duplicity that color came to be something at once immediate and mediated, wholly manifest and yet full of hidden depths. When L. Frank Baum published The Wonderful Wizard of Oz in 1900, he worked with illustrator W. W. Denslow to make his book “glow” with bright color. In fact, the whole narrative universe of the original Oz story—with its color-coded regions and hyper-green Emerald City—is designed to show off the colors of the actual book. As a children’s author, Baum exploited the immediacy of color. The gates of the Emerald City. Baum, The Wonderful Wizard of Oz, illustrations by Denslow, 109. Kislak Center for Special Collections, Rare Books and Manuscripts, University of Pennsylvania, Philadelphia, Pennsylvania. Yet as an advertiser and window-dresser (before Oz he edited a professional journal called The Show Window), Baum leaned on the “laws” of color, which he held to be hidden from average observers and so perfect for stimulating consumer desire. He gave readers tips on how to manipulate the “set laws” of color and advised that even items “desirable in themselves” still “need[ed] a color effect to throw them out properly”—otherwise consumers might not even realize they wanted it. The doubleness of color held in other areas as well. Empirical studies of color perception in the period tended to emphasize one of two things: either the direct, bodily reaction to chromatic stimuli (such that certain colors caused certain moods--see Baker-Miller pink), or the complex calculations that the brain makes in order to see a particular color. In this latter case, what we see when we see red is not so much a thing as a set of relations, which our minds mediate into a single sensation, imbued with qualitative immediacy. This, in fact, is what Gertrude Stein discovered when she apprenticed as a color researcher in the Harvard psychology lab in the 1890s. And it’s the basic insight about color that she carried into her famously saturated book of poetry, Tender Buttons (1914). Two Milton Bradley Color Wheels (bottom right and left), along with several color disks of various sizes. There are also apparatuses for testing the perception of afterimages, luminous color, color blindness, and "appreciation of color." 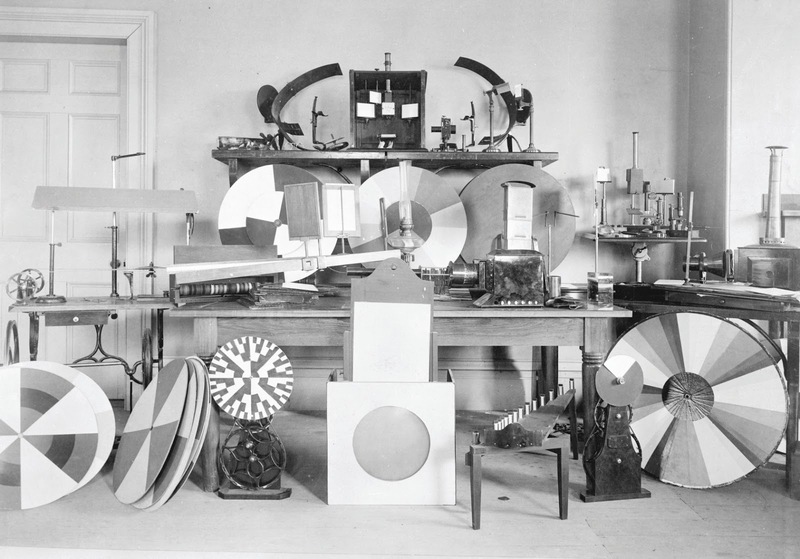 "Instruments for Experiments on Sight," from Hugo Munsterberg, Psychological Laboratory of Harvard University, 8. The more I saw this dual nature of color in the wider cultural conversation about color effects—and I should note that at the turn of the twentieth century this conversation was livelier than it had ever been—the more I realized that the blend of immediacy and mediation opened a new space for exploring the language of color, and in particular its literary uses. An obligatory move in recent books on color is to point out that language can never do justice to the visual world. This is usually done with an apologetic tone. The idea is that language is an abstract system of mediations, while visual color is a concrete presentation of brute sensation. But if we take seriously the challenge of color’s duality, the way it results from the transformation of mediations into immediacy, and if we are willing to shed the ingrained philosophical habit of thinking of the abstract and the concrete as two incompatible realms (rather than as two phases in an ongoing process), then the language of color is no longer an embarrassment to vision. Rather, our verbal invocations of color—from the names we give it to the ways we narrate its effects—stand as extensions and transformations of color itself. 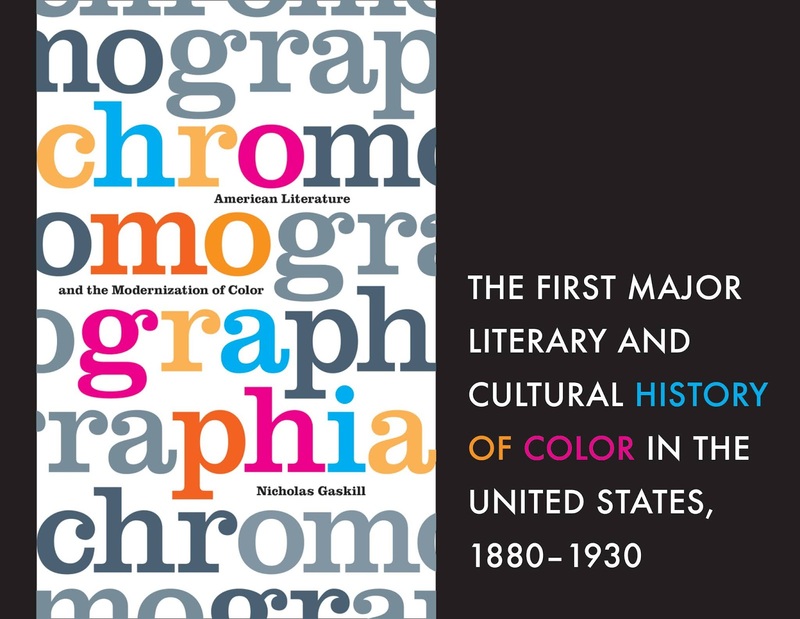 In Chromographia, I’ve tried to show just how inventive and consequential the literary transformations of chromatic experience were in the early decades of American modernity. There are lots of color “secrets” in the book, many of which give a historical background for the current crop of color books. But perhaps the most important story it tells is that of the secret of color’s secrets. Nicholas Gaskill is associate professor of American literature at the University of Oxford and tutorial fellow at Oriel College. He is coeditor of The Lure of Whitehead (Minnesota, 2014). L. Frank Baum, The Art of Decorating Dry Goods Windows and Interiors: A Complete Manual of Window Trimming, Designed as an Educator in All the Details of the Art, According to the Best Accepted Methods, and Treating Fully Every Important Subject (Chicago: Show Window Publishing, 1900), 24, 35. I once went swimming in natural hot springs in Colombia. It was the mid-1990s and Colombia was, according to the U.S. State Department, the most dangerous country on earth. At twenty-one years old, I had just arrived to see my father for the first time since I was a baby. His wife had brought me and my cousin to the town of Coconuco in the Western Cordillera of the Andes Mountains, where underground geothermal springs fuel a somewhat tepid ecotourism. I remember being poised in my unflattering one piece on the bank of the aguas tibias. Publishing my memoir, Magical Realism for Non-Believers, feels just as precarious as standing on the edge of that pool. I began working on what would become this book nine years ago and, while the goal was always to publish, I never really thought about what that would mean. When I was writing abut my family, myself, and our foibles and follies, I never considered what it would be like for those stories to belong to readers and not just me. A few other tourists had come to visit the Coconuco springs that day, even though low clouds made the high-altitude air chilly and damp. The rocks that created makeshift paths were icy on my bare feet. This pool was naturally occurring and rimmed with lush vegetation—plants I, having grown up in Minnesota, couldn’t identify, making the whole experience even more surreal. 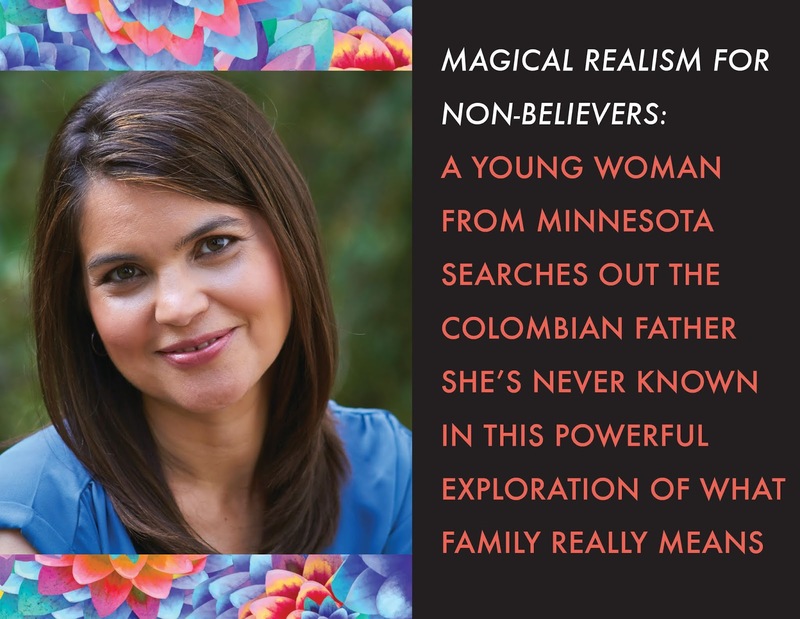 That surrealism of my return trip to Colombia and getting to know my father is what drove me to write this book. It’s a story of searching for identity, exploring origins, and reconciling what family means. But I hope it also demonstrates the magic of life. While this is creative nonfiction (meaning these are true events that really happened), and I can’t do what Gabriel García Márquez does with story, the genre of magical realism—superimposed over memoir—lets me tell you about the leap into aguas tibias, the time snow erased my past, the drama of my daughter’s birth via emergency C-section. Because life—reality—is magical. As I looked down into aqua-blue water, Spanish words swirled around me and the faint scent of sulfur hung in the air. Those moments before you leap, the moment before you know what will happen and how it will affect you, require bravery and probably a little insanity. Launching my memoir into the world feels just as brave and just as insane. But like that day in the Andes, all I can do is wiggle my toes, giggle with anticipation, and jump. A full list of Anika's events can be found here. 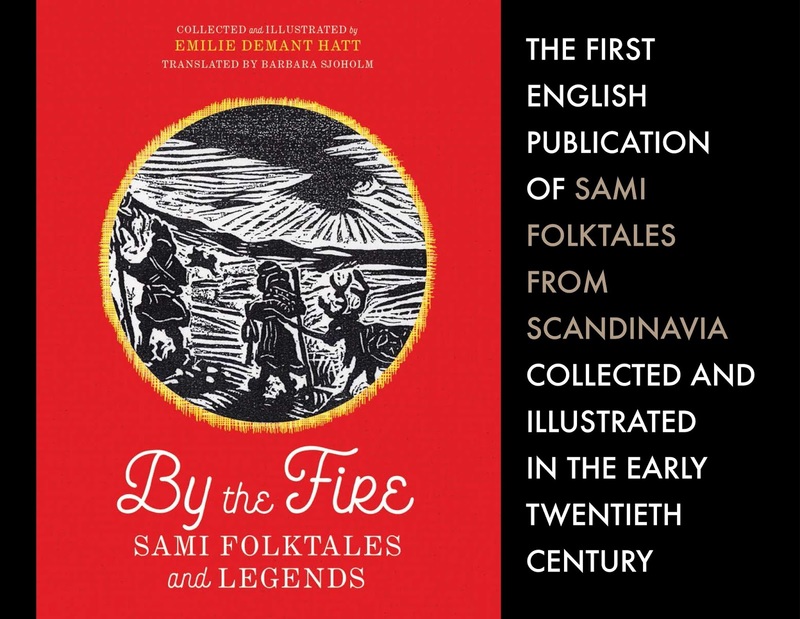 How a chance encounter led to an uncommon collection of Sami folktales by Emilie Demant Hatt. 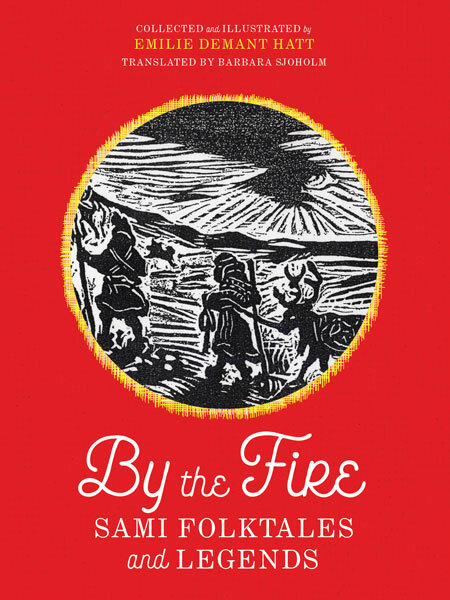 By the Fire is an uncommon collection of Sami folktales recorded by a woman who was herself quite remarkable for her time. Emilie Demant Hatt was born in a rural village in Jutland, Denmark, in 1873 and only attended school up to the age of fourteen. But with help from her mother’s family, Demant Hatt moved to Copenhagen in her early twenties to study art at the Royal Academy. At the age of thirty-one, by now a painter, she traveled with her sister to northern Sweden as one of the first tourists on the new iron ore train through the high mountains between Sweden and Norway, lands previously inhabited mainly by the nomadic Sami herders and their reindeer. Demant Hatt’s chance encounter on the train with Sami wolf-hunter and would-be writer Johan Turi changed both of their lives. After studying the Sami language at Copenhagen University and preparing herself as best she could for a sojourn among reindeer herders, Demant returned to Sápmi in 1907 and spent nine months with Johan Turi’s brother and his family. She then accompanied another group of herders and reindeer over the mountains from Sweden to Norway, a grueling trek memorably chronicled in her travel narrative, With the Lapps in the High Mountains (1913). Demant Hatt later went on to make many field trips to Sápmi, to translate and edit the work of Johan Turi, to travel in North America with her husband Gudmund Hatt, and to study with the Boas circle at Columbia University. She became a noted Expressionist painter and left a large body of work with Sápmi as a major motif. 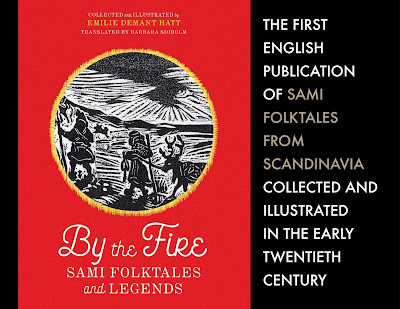 As the translator of her astonishing (and beautifully written) travel narrative, and eventually as the biographer of Emilie Demant Hatt, I was familiar with her illustrated collection of folktales, By the Fire (Ved ilden). Originally published in 1922 and long out of print and neglected by Nordic folklorists, By the Fire first struck me by the charm and power of the linocuts, so reminiscent of the German graphic artists of the time. Through her endnotes I could see that she had collected her tales from various siidas or communities in Swedish Sápmi, and I gradually realized that a large number of tales must have come from her women friends and teachers over the years 1907 to 1916, even though few names were mentioned. That Demant Hatt was particularly interested in the lives of women and children was already evident to me. Her ethnography is notable not only for the fact that she was an early practitioner of participant observation but also because her focus—many years before Margaret Mead went to Samoa—was on the daily lives and customs of women relating to courtship, marriage, childbirth, work inside the tents and work outside (often in dramatic weather conditions), herding, leading migrations, and setting up camp. I wrote about By the Fire and some of the storytellers in my biography of Demant Hatt, Black Fox, and then, after deciding to translate the folktales, I returned to her field notes in Danish (500 pages, fortunately typed), which are held at the archives of the Nordic Museum in Stockholm, along with her photo albums from Sápmi. Using the field notes as my guide, I was able to correlate many of the folktales with individual storytellers. Some I was familiar with already: Anni Rasti, for instance, whom Demant Hatt had memorably described in With the Lapps as “Gate,” in whose tent she lived in spring of 1908 on that rigorous, nearly two-month trek over icy plateaus and frothing rivers, to get to the green meadows of Norway. Or Märta Nilsson, a Sami elder and “wise woman,” who resided in a tent with her husband Nils in a siida near Östersund in South Sápmi. Demant Hatt spent six weeks with this couple in 1910. Other storytellers I was less acquainted with: Margreta Bengtsson, a mother, wife, and herder in Pite Sápmi, with whose family Demant Hatt and her husband traveled in 1914; or the former herder Anders Larsson, whom the Hatts got to know well in 1912. Thanks to a travel fellowship from the American Scandinavian Foundation, I was able to spend some weeks in 2017 in archives in Uppsala and Stockholm, gathering material on the storytellers to add to what I already knew from Demant Hatt’s mostly unpublished manuscripts. In my research I often found that the details of the herders’ lives in the early twentieth century, at a time when their culture was gravely threatened, gave added resonance to the stories she collected from them. Demant Hatt admired the Sami for their resilience and humor, and she collected a number of tales and legends that spoke to how an indigenous people could protect themselves against enemies, often through inventive means, and otherwise bear witness and seek justice. Some of the tales she recorded are well-known in Sápmi and appear in other historic collections, but it’s notable that By the Fire contains a higher proportion of tales by women, and perhaps because of that, a higher proportion of girls and women as heroines who outwit farmers, bandits, Dog-Turks, their Stallo fathers, and even Swedish pastors who mean them and their people harm. By the Fire is less comprehensive than deeply personal, the reflection both of self-educated scholarship and an unusually modern view for the time that indigenous people, and especially women, deserve to have their voices heard in all their wisdom, humor, and power. I’m very happy that this collection in English translation will be available to a wider audience almost one hundred years after its first publication. Barbara Sjoholm is a writer, editor, and translator of Danish and Norwegian literature, including By the Fire: Sami Folktales and Legends. She has written fiction and nonfiction. Emilie Demant Hatt (1873–1958) was a Danish artist and ethnographer who lived among the Sami of Swedish Lapland in the first two decades of the twentieth century. "When the darkness draws [the Sami] to the campfire, when the stew kettle hangs on its sooty chain and steam and smoke rise up through the tent opening to the clouds and night sky, then rest comes, memories slip in, like dreams to a sleeper. . . . The spirit of Fairy Tale perches at the edge of the hearth. The fire hisses, the flames flare and die back. . . Outside in the deepest night wander the dead, the spirits, the evil thoughts one person sends another. . . Here inside the tent is the campfire; here is home, the great safe place." 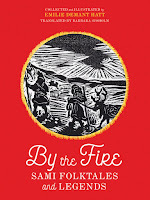 "By the Fire offers insights into the fascinating Sami storytelling tradition at a time when folk beliefs met Christianity—where motifs from Cinderella and legends about sea monsters intertwine in milieus as diverse as icy mountains and tobacco fields. Barbara Sjoholm's translation renders these wonderful stories in all their darkness and power." What does it mean to be a man in America? This question was at the forefront of the minds of many of the 66 trans men I interviewed while doing research for my book, Men in Place. These men lived in a wide variety of cities and rural areas across the United States West, South, and Midwest. Perhaps this question has not been easy to answer in any era, but American masculinity and manhood seem particularly fraught at the end of the second decade of the 21st century. The #MeToo and Time’s Up movements have shone new light on rampant sexual harassment, assault, and gender inequality across industries and locales. Indeed, there is a growing recognition of the harmful effects of masculinity on the larger society and on men and boys themselves. Even the recent headline-making advertisement by Gillette asks for men and boys to rethink how they behave with one another and with women, by posing their long running tag line – The Best a Man Can Get – as a question: Is this the best a man can get? The ad is a prime example of calls to reform masculinity, but we also see rising resentment and backlash from those loathe to give up their personal and social positions of power. Trans men who I interviewed described navigating the pressures of being a man and being masculine in ways that are similar to other men. Their stories illustrated that they did not have one specific way to be masculine, but that their expressions of masculinity depended on the spaces and places they lived in and moved through in their everyday lives, shifting and balancing as they entered different contexts. In most places, but certainly not all, the ideal for masculinity was an in-between masculinity that is not hypermasculine but also not too feminine or effeminate. From this study, I conclude that masculinity is dynamic: not just toxic or healthy, but variable depending on the space. Those that perform it most successfully are individuals that can maintain the in-between as they encounter the social expectations that shape particular situations. Although these changes sound promising, this new ideal of in-between masculinity mostly leaves existing social hierarchies in place. In my work I find that maintaining these social hierarchies happens through an emphasis on who can control themselves and who cannot. Control is a hallmark of dominating masculinities in the sense of men being rigid or controlling of others. Yet, in this newer ideal, control does not mean inflexibility; rather it is men’s ability to maintain the in-between in responding to the demands of a particular space, such as region or even in public bathrooms. Men who can adjust to the demands of masculinity across these spaces become proper men in comparison to those who cannot maintain control. On one end, women or feminine men are too weak and emotional. They are not capable of being strong in the right spaces. On the other end, hypermasculine men, usually coded as poor black urban men or poor white rural men, are too much like a stereotypical macho man. They are too violent or unable to express the correct emotions in the right spaces. In this way men can both strive to maintain a certain manliness while also displacing the blame for sexism, racism, and other social ills onto hypermasculine men. This dynamic appears where white working class rural men in the South and Midwest are solely blamed for the election of Donald Trump, even if his support actually had a wider base among affluent suburban Republicans. It also appears in the more widely publicized but not new killings of black men, like Stephon Clark or Michael Brown, because they are viewed by police as hypermasculine violent threats. The black men killed on the street and the poor rural Trump voter are linked not only in their relation to space but also as symbolic representations of masculinities that are not under control. In one instance, lives that must be eliminated because of their threat; in the other, the assertion that hypermasculinity and attendant racism and sexism are located only in rural spaces and particular regions. Some men may never be able to achieve the in-between of “acceptable” masculinity by virtue of their race, class, sexuality, or some combination of them. In regard to violence, this in-between masculinity means that either being a violent perpetrator or a victim of violence can make a man illegitimate. This means men must carefully navigate fears, which are often tied to particular spaces, in order to avoid being a victim. Trans men’s fears in rural spaces provide a particularly telling example of how these dynamics are gendered, raced, and classed. Rural spaces are commonly thought to be especially dangerous for LGBT people due to the idea that small towns are dominated by backward, white, lower class men who are exceptionally hateful toward queer or transgender people. At the center of LGBT fears is the specter of rural masculinities that are too violent. The men I interviewed reported trying to protect themselves from potential violence by watching how they acted in order to not seem too much like a gay man in rural spaces. Shifting their behavior allowed them to avoid violence and also maintain an in-between masculinity. They could distinguish themselves both from the violence of potential perpetrators and from the weakness of a victim. Indeed, the finding from my work that often surprises people the most is that the majority of trans men I interviewed who lived rurally had few interpersonal problems beyond finding reliable access to medical care. This is because they were white in predominately white areas and their masculinity fit in with the local ideals for how men are supposed to be. At the same time, fear drove them to be complicit in the sexism and racism occurring around them. Race, in this case as a particular classed and masculine whiteness, shaped both who is feared and how one can find belonging in rural spaces. What could it mean to be a man in America? Debates about the behavior of men exemplified by #MeToo and the Gillette ad signal that perhaps U.S. masculinity is in crisis. Mass shootings and increased white supremacist organizing suggest that white masculinity is a crisis in itself. My work illustrates that a contextual understanding of masculinity as always intertwined with race and sexuality is necessary to chart a different course forward. Further, it will take efforts not just for men to do masculinity differently, but to move beyond surface changes and actually undermine existing hierarchies that disadvantage women, LGBTQ people, people of color, and poor people. 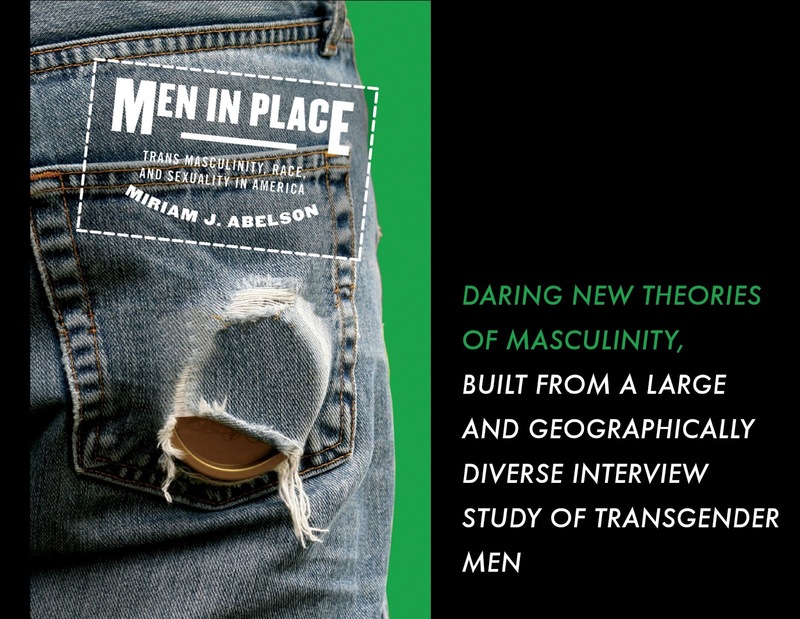 Miriam J. Abelson is assistant professor of women, gender, and sexuality studies at Portland State University.